You can make a homemade cold pack by mixing safe chemicals in a plastic bag. Aqueous citric acid plus sodium bicarbonate (baking soda) reacts to form carbon dioxide gas, water, and sodium citrate. Because gas is produced, this reaction will expand a sealed plastic bag, potentially unsealing it and spilling if you fill the bag too full. Some people prefer to mix the chemicals in a cup instead. Basically, all you do is mix together citric acid and baking soda and seal them in a bag. You can keep the mixture handy for when it’s needed. Then, just add water. The contents of the bag will continue to chill as the reaction proceeds, eventually returning to room temperature when the reaction is complete. It’s safe to wash the contents down the drain. Or, you could evaporate the water to collect solid sodium citrate, which is sometimes added to food to add a tangy citrusy bite. The baking soda and citric acid mixture is common in commercial cold packs. However, once the reaction is complete, the cold pack is done. Another non-toxic chemical that can be used to generate a cold reaction is sodium acetate. The advantage of a sodium acetate cold pack is that it is re-useable. The disadvantage is that it doesn’t get super-cold (only about 9-10°C). To make this type of cold pack you need sodium acetate trihydrate, otherwise known as the “hot ice” used in hot packs. Place the crystals in a bag and add a small amount of water when you’re ready to start the reaction. The crystallization of a supersaturated solution of sodium acetate in water is an exothermic reaction (releases heat). Dissolving the crystals in water, on the other hand, is an endothermic (cold) reaction. Once the crystals dissolve, you can evaporate or boil off the water. It’s sort of a hot pack/cold pack combination, because one process is the reverse of the other. You can make sodium acetate trihydrate by mixing together baking soda and vinegar and boiling off the liquid. 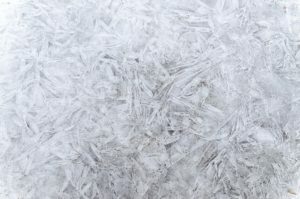 If you have dry sodium acetate, you can make sodium acetate trihydrate by adding the minimum amount of water needed to dissolve the solid and then evaporating off the excess. All of the chemicals are non-toxic and safe to wash down the drain. After you’re done with the mixture, it’s safe to wash it down the sink with water, but you should avoid splashing it on your skin because the solution is basic and acts as an irritant. If skin contact does occur, rinse with water. Depressurizing a pressurized can is an endothermic process. Although it’s a poor cold pack, in a pinch you could spray a surface with cooking spray, whipped cream in a can, or canned hair spray. Unfortunately, you have to keep spraying to make the effect last (and it can be kind of gross).